Our first President, George Washington, famously said he could not tell a lie and fessed up to chopping down a cherry tree, but few of his successors or would-be officeholders have held themselves to that standard. The 9th Circuit struck down the “Stolen Valor Act” at issue in the Alvarez case because it was subject to strict constitutional scrutiny and was not narrowly tailored to achieve a compelling government interest. If the Supreme Court in the Alvarez case finds the lie at issue categorically unprotected, it will do major harm to free speech doctrine in a case which seems to be a victimless crime. 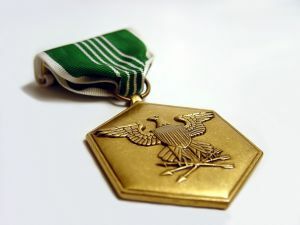 After all, despite protestations that lies about the Medal of Honor might undermine troop morale, the country survived for over 200 years without the Stolen Valor Act (which was enacted in 2005), and Alvarez’s lie was easily detected and “punished” where it should be, in the court of public opinion, when he was “outed” in the press. The First Amendment protects, and should protect, not just true speech but occasional misstatements. As the Supreme Court held in the landmark New York Times v. Sullivan case, “erroneous statement is inevitable in free debate.” The Supreme Court should affirm the 9th Circuit’s holding that the “Stolen Valor Act” is unconstitutional.